These devices are used in almost any 1 to many applications. The fact that we are 18 GBPS means anyone who wants to distribute 4K UHD with HDR will need to upgrade soon. Retail signal distribution – Big Box Stores & Local Retail for Advertising; School’s & Office’s for Info-boards – 1000’s of new accounts just opened up to you! Bars & Restaurants – a very simple way to “split” the signal to show in multiple locations. A word on Cascading – need more displays? 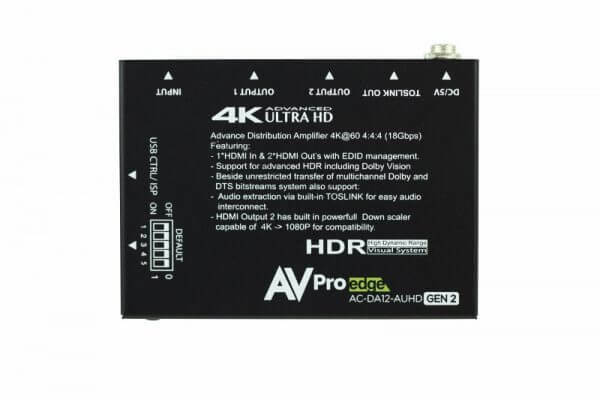 Just connect an output to the input of the next device (all 3 are cross-compatible) and keep stringing the displays together – now you have a 1 x 50 AUHD DA! 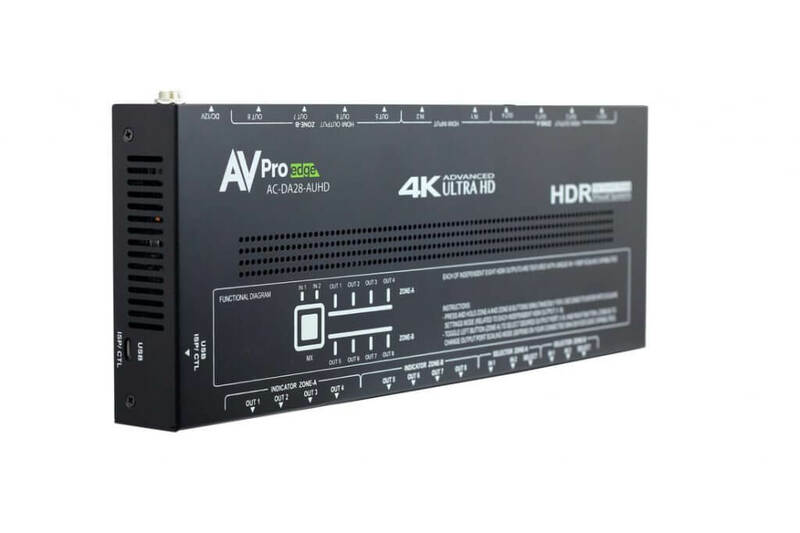 18Gbps Support (4K60 4:4:4): This Distribution Amplifier offers the highest available bandwidth to ensure maximum stability in distributed HDMI systems, even at higher resolutions. 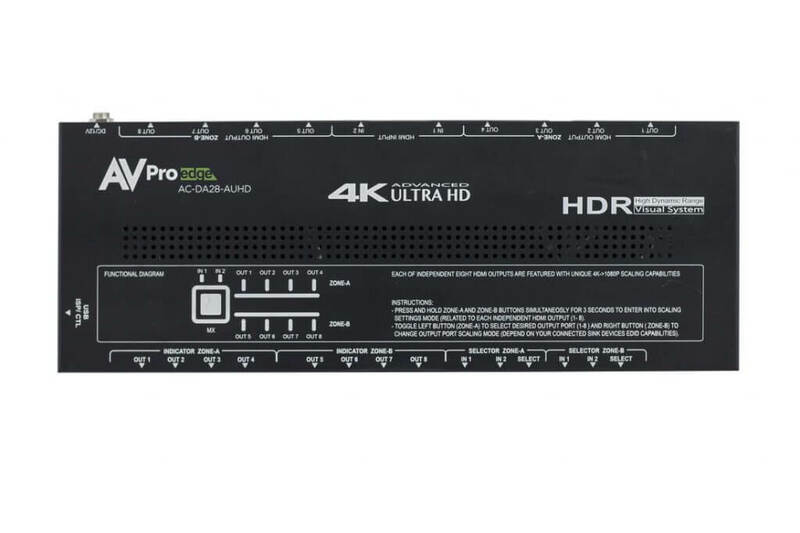 With the added bandwidth you can comfortably use all of the latest 4K sources without worrying about headroom. With these DA’s you are already prepared for all 4K formats and some 8K formats. 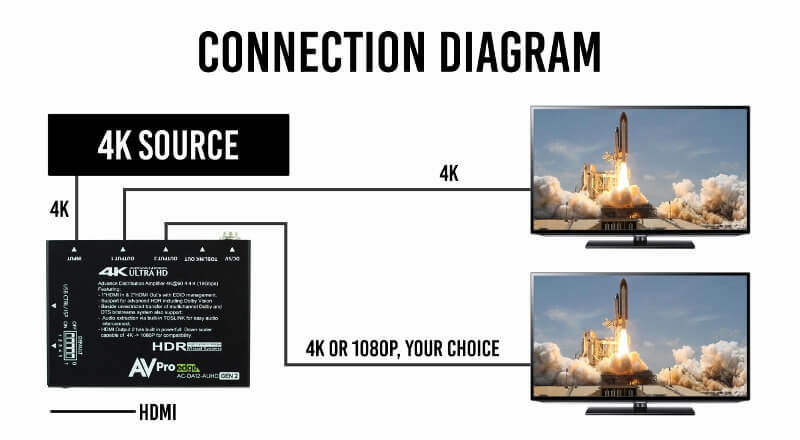 Down-Scaling: Use this feature for down-scaling 4K HDR Content to 1080P for legacy displays/AVRs while leaving an un-scaled/uncompressed port for another display. Cascading: The AC-DA12-AUHD-GEN2 was designed for cascading. You will not have any concerns cascading this unit for several “hops”. There is even a built in “cascade mode” that can be enabled for plug and play compatibility. EDID Management: Advanced EDID management is on board so you can select from 16 different setting, including Cascade Mode, auto and “from display”. All of this enhances your ability to get the right signal throughout the system and ensures communication with any 3rd party device. Ultra Low-Profile Design: The minimalist design makes the device even more versatile. Designed to fit in any nook or cranny, you don’t need to worry about finding space for the DA allowing you to focus on other elements of the job. 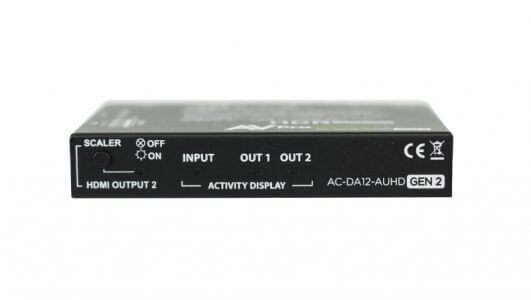 The AC-DA28-AUHD is a member of our true 18Gbps Distribution Amplifier family. What makes this D.A. so unique is the ability to switch its inputs between two independent zones. Take advantage of this 2×8’s capabilities with built-in scaling, EDID management and audio extraction. This amplifier is ready for all of today’s highest bandwidth content, the AC-DA28-AUHD is able to handle 4K60 (4:4:4) with every type of HDR including Dolby Vision. This powerhouse comes in a nice slim chassis allowing you to hide the device anywhere in your installation. This 2×8 distribution amplifier is ideal on all applications where stable signalling is key. This distribution amplifier can also be cascaded. Meaning you are able to come out of the output of your first unit, into a second unit’s input to give you 8 additional outputs ports. Now you have the ability to turn this 2×8 into a 2×64 or even larger by adding additional AC-DA28-AUHD’s. 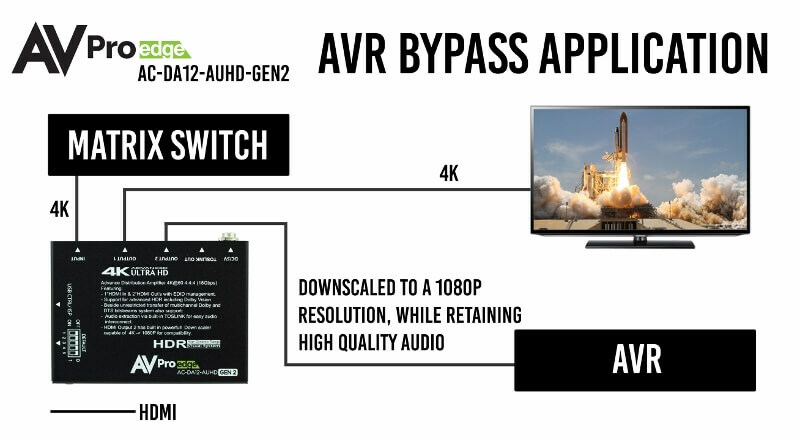 Full 18Gbps and HDR support ensure military grade stability even at the highest of bandwidths. 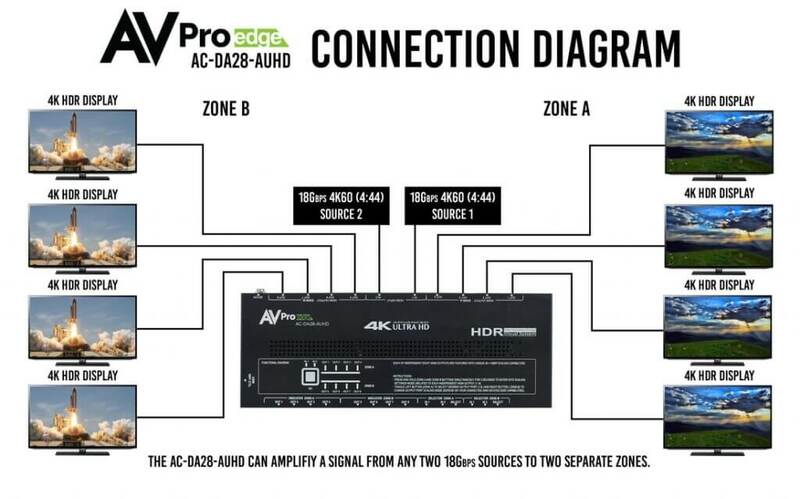 Install the distribution amplifier with confidence in your next bar, restaurant, digital signage, commercial or residential install and see the difference. 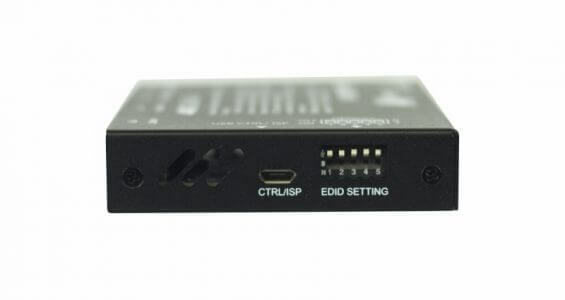 LAN Control Interface: This allows you to control the switch/splitter from anywhere on the network, including EDID management, switching and monitoring input and output status. 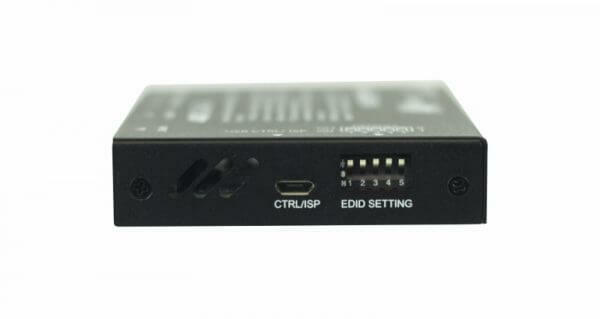 Audio Extraction: Extract audio via Digital Toslink Out (7CH PCM, DD, DD+, DTS, DTS-MA). Allows you to send digital audio signals to a different location. Cascading: The AC-DA28-AUHD was designed for cascading. 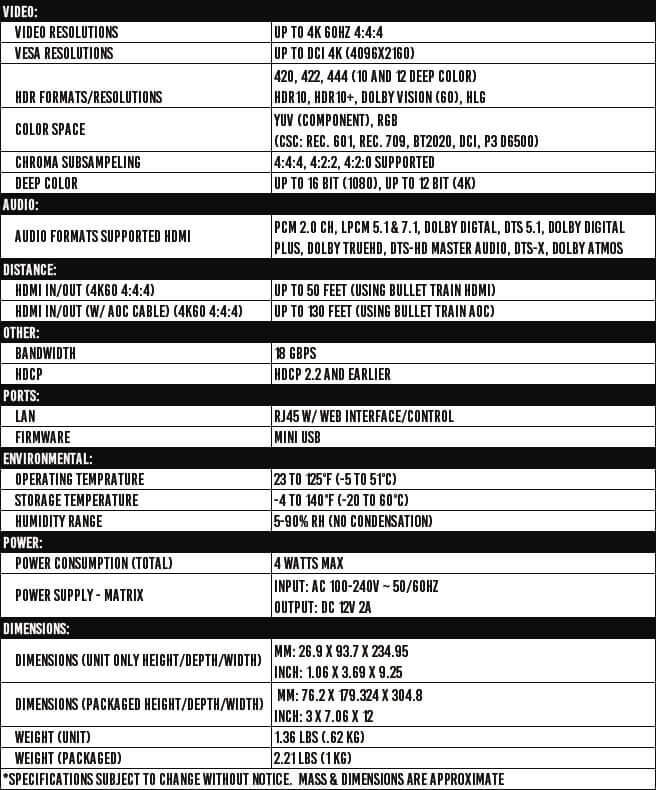 You will not have any concerns cascading this unit for several “hops”. There is even a built-in “cascade mode” that can be enabled for plug and play compatibility.